Collaborator Spotlight: Charles Blend – Quantitative Aquatics, Inc.
Dr. Charles Blend is one of FishBase’s very faithful sponsors. Since 2011, ‘Chuck’, as he prefers to be called, has been supporting our work by sponsoring his favorite fish, a very ugly deep-sea species, the Humpback anglerfish or Melanocetus johnsonii. According to Dr. Blend, FishBase is basically his ‘Fish Bible’. He uses FishBase extensively in his research and donating is his way of showing his gratitude to help maintain this ‘incredible resource’ available on the web. He has provided all of his published papers and illustrations to us, to be incorporated in the Diseases table. Chuck’s main interest is on deep-sea creatures and their worms. He has described around 45 of these parasitic worms, one of which he named Podocotyle nimoyi, after Leonard Nimoy who starred in Star Trek. To know why he has chosen to honor the actor with a new species name, read the interesting article written about Dr. Blend by the local newspaper in Corpus Christi. 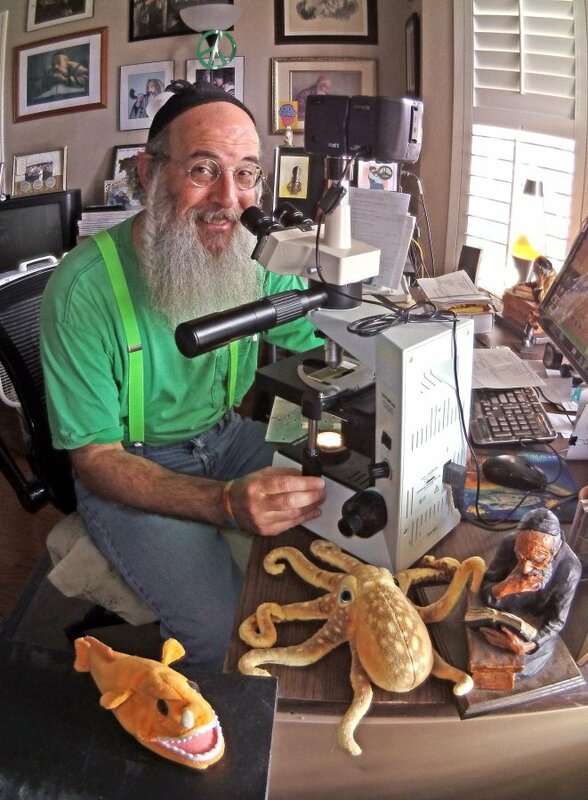 Chuck, who looks more like a Jewish or hippie especially when playing his sitar, is at present affiliated with the Corpus Christi Museum of Science and History, working as the Resident Scholar in Parasitology and Deep-sea Biology. Read more about Dr. Blend here.